I believe that every people (must) have dreams. Not only president, artist, student or famous people, even tough beggar have dreams too. I, you, he, she, they even we –of course- also have/has dreams. I’m sure! Dream is not always about “wannabe someone”, “wannabe professional person” “wanna have certain something” or “go something place”. I mean, although wannabe a doctor, wannabe a police, wanna go France, wanna have expensive car etc. in the future can be called as “dream”, but it doesn’t mean that the definition of dream is in narrow meaning. Dream has wide meaning. IMHO, whatever which can make us happy in our future, in spite of it is just simple thing it can also be called as “dream”. So, if you wanna eat Nasi Padang but you don’t have money at the time but you want to make it happen one day, we can call it as “dream”. The questions are ; Is your dream will be short-term or long-term? Is your dream spend much time and material thing? Is your dream need hard fighting? So, we can divide dream to be 2 parts. First, little dream and last big dream. In little dream almost even all of us can reach it easily. Sometimes it just need sober struggle. Otherwise, in big dream not all of us who can reach it easily. We can say if we want to make it happen, we must strive hardly, more than ‘sober’. But if we are not able or give up to go on take pains, trust me that our dream just an imagination. Never be a reality. For example, wanna go to Europe one day is a BIG DREAM. As its name, it is because we have to strive hardly and spend much time to reach it one day. Conversely, wanna eat in KFC or restaurant when we don’t have money is a LITTLE DREAM. Yeah, because besides it is ‘simple thing’, it is also doesn’t need harder fighting. Same as you, I have many little dreams and big dreams too. Now I wanna share you about what my big dreams. This is it! My big ambition is wanna be a writer. But the bigger is be a script writer of Disney-Pixar. Did you know disney pixar, didn't you? Yeah, you're right! 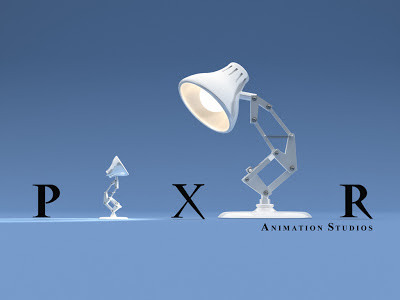 Disney-Pixar is one of biggest animation company in the world. Cars, A Bugs Life, Rattatouille, Up even the best seller animation like Finding Nemo and Toy Story are some of made by Disney-Pixar. Exactly I have this dream recently. Maybe it hear more over or impossible to me. I also dunno what my dream will be happen or not. But nothing's impossible in dream world, isn't it? Although IMO my chance is little, I don't care. The dream is free. So I don't want to waste what free to me. I just keep on it. I can't imagine how if I really be a script writer of Disney-Pixar. Besides it can make my parents and my friends proud of me, it can also make nation to do the same thing. It is because I take local wisdom of Indonesian in my script writer. Indonesia is very rich country. So I can take inspiration from Komodo Island, Bali, Javanese Culture even until Papua's wisdom to the story. Then the animator will realize it in the animation. After that Indonesia will be famous than before. How happy I am! If you meet me one day, please, don't tell me anything about 'journalistic'! Because I'm obsessed with it! I can crazy if I hear the word related to "journalistic", especially if you say "VOA". Well, my passion is writing. Everything about writing. Not only about fiction like literature but also about fact. And one of my dream about it is be a journalist. As I recall, I dream it since I was SHS even since JHS. Sometimes I imagine myself what happen if I became a journalist one day. It hear interesting for me! Somehow, maybe because I think that be a journalist is a challenge so I wanna be a journalist one day. Besides I can go around to various area for free and also expand my link and my knowledge about what happen in the world. Although my parents ever remind me to don't choose it as my planning in my future, I don't to brood over. IMO, I more know about what should I do than them. First I just dream about how to be a journalist in Indonesia. But as time goes by, why I didn't extend my ideals? Vivit Kavi, one of reporter of VOA Indonesia is my inspiration to make my dream comes true. Since I often watch her in TV, especially in "dahsyat" on RCTI (sometimes), I expand my dream from "Journalist in Indonesia" to be "Journalist outside Indonesia" -in this case it is VOA Indonesia. I think except I can make my parents to be proud of me and show to them that I can reach my dream, it also can make me go around for free. Whoa! Can you imagine how if you go around with 308 youth from 11 countries in ASEAN + Japan by ship for 53 days? It hear almost impossible, right? But in fact it can be a reality! SSEAYP is one and only way for you if you wanna make it happen -in this case go around ASEAN + Japan by ship. Except SSEAYP, I dunno what is other program will bring us to go around together. I think just SSEAYP, the program which will bring us to cross the sea from one country to another ASEAN countries. It is cool, isn't it? SSEAYP is stand for Ship For East Asian Youth Program. Since it was held first time since 1974, it is always sponsored by Japan government. Therefore, the ship for cross the sea always from Japan's government. And the name of the ship is "NIPPON MARU". I dunno what's the meaning of "Maru", but I know what's the meaning of Nippon. 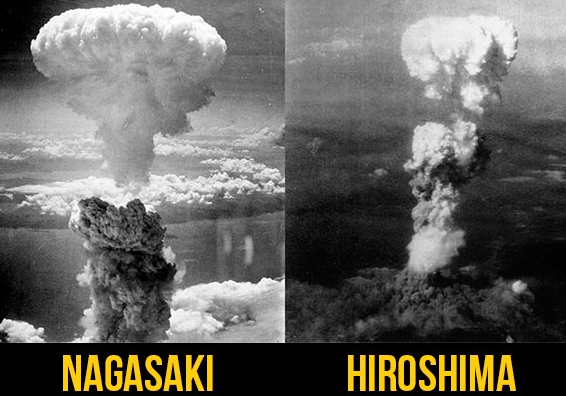 In Japanese, "nippon" is "nihon" or we more know it as "Japan". In Indonesian we called it as Jepang. Nippon Maru is one of biggest in Japan and maybe in Asia even in the world. I'm interested with this program because IMO, it is "rare chance" when we can across the sea by yacht with more than 300 "great people" from 11 countries. 10 countries from ASEAN and 1 more is Japan. In addition, we will do it for 53 days -and usually- from end of October until middle of December. But unfortunately just 1 people from every province in Indonesia who will get chance to go abroad by ship. Not only that, the skill is very important for this. The delegation must able to speak English fluently. Besides, they also have wide knowledge and must can show of the traditional culture. Actually I'm interested about whatever student exchanges. Whether it's IKYEP, AIYEP, IMYEP, ICYEP and whatever student exchange, not only SSEAYP. 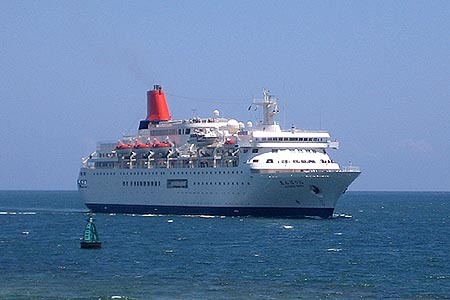 Only, I'm really wanna feel how the feeling on the ship for 53 days with more than 300 youth froum around of ASEAN+Japan. I wanna be part of SSEAYP one day (insyaallah next year or 2 years more). Therefore, I must be prepare from now. 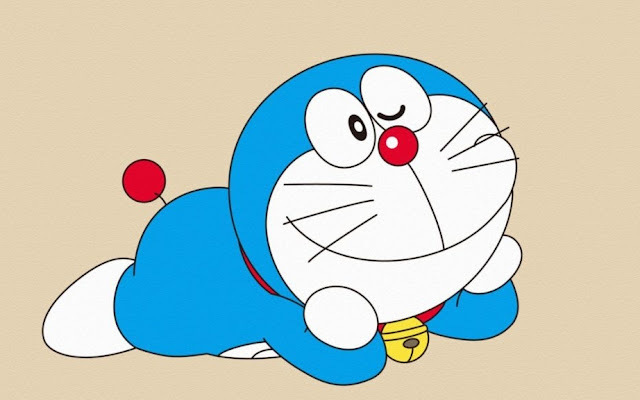 So, wait me in "Nippon Maru" ! In effect there are many dreams who I have. This is only some of them. The problem is it can be so long if I tell about all of my dreams one by one in this page. It is because my dreams is "uncountable" even sometimes I can't count its from A until Z. Besides I wanna be script writer of Disney, wanna be reporter of VOA even be a part of SSEAYP, I have other dreams. Some of them are if I became successful person, I wanna build foundation or halfway house for children with special needs (ABH), make job vacancy for marginal people and whatever dreams but it can give the benefit for the community.